Top-Edge is an Authorized dealer and Certified Installer of Gutterglove and LeafBlaster. Gutterglove Gutterguard is a highly advanced gutter protection system offering several amazing functions. This gutter guard will filter out all debris from your gutter eliminating gutter cleaning forever. Harvesting the rain, fog or snow is made easy because our gutter cover filters out the debris before it ever gets to the rainwater storage tank. Gutterglove Pro consists of two components; a perforated aluminum channel and type 316 stainless steel mesh. The stainless steel mesh is glued into grooves along both sides of each 5 foot aluminum channel section. It installs on any existing gutter. Gutterglove's specifications were designed so that it simply slips under the roof shingles and fits snuggly to the front lip of your gutter. 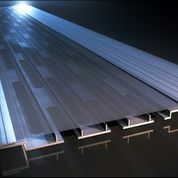 Gutterglove Ultra consists of two components; a perforated aluminum channel and type 316 stainless steel mesh. The stainless steel mesh is glued into grooves along both sides of each 5 foot aluminum channel section. It installs on any existing gutter. Gutterglove's specifications were designed so that it simply slips under the roof shingles and fits snuggly to the front lip of your gutter. Gutterglove should be installed at the same pitch as the roof (up to 5/12) to get the best performance of debris shedding off. The LeafBlaster Gutter Protection System consists of three main components: a front anodized aluminum drip edge; a type 316 stainless steel V-Bend mesh filter mesh; and a water syphon control strip under the mesh. 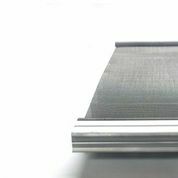 Our Patent Pending LeafBlaster gutter guard can be installed on various gutter types such as Ogee, half round, fascia, curved and box. It can also be installed on various types of roofs such as asphalt shingle, wood shake, flat tile, Spanish tile and stone coated steel. 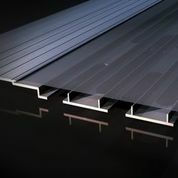 LeafBlaster’s specifications were uniquely designed so that it simply slips under the roof shingles and rests on top of the roof-deck/water-barrier (tar paper) to “clamp” the gutter guard in place and stabilize its structure. The solid aluminum front fits snuggly to the front lip of the gutter via three self-tapping screws for each four foot length. LeafBlaster should be installed at the same pitch as the roof (up to a 6/12 pitch) to get the best performance. The revolutionary corrugated V-Bend technology gives LeafBlaster it's rigidity and strength to sustain itself above your gutter, allowing it to remain free standing without the added cost of a support structure underneath, while permiting more than 100 inches of hourly rainfall to filter through. Gutterglove Gutterguard is installed on hundreds of rain harvesting systems because of it’s ability to filter out small grains of sand out of a gutter and a rain collection tank. Below are several featured TV news stories of rain collection systems that are using the Gutterglove Gutter guard filter system as their First Stage Filter.